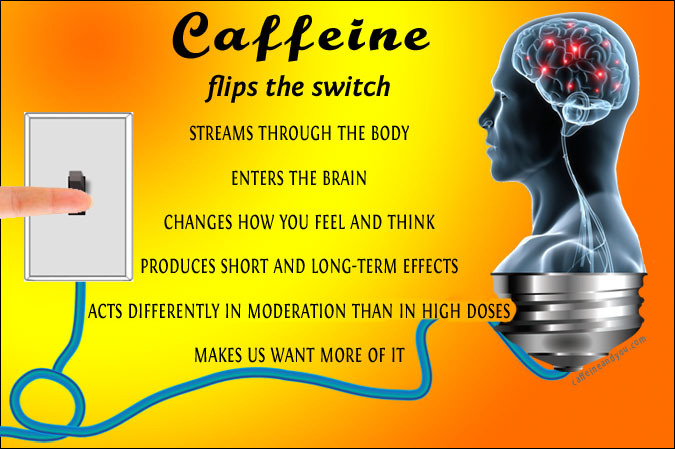 Most of us treat caffeine like electricity: We don’t care to know how it works; we just flip the switch and the power turns on. This website really helped me in understanding how caffeine works, so thanks a lot of that. I do have a question, I have been doing some research on caffeine myself for a school project biology and I was wondering if you have some more information on how caffeine exactly works in our body. I have searched for hours, and all I can find are websites that contain of 1 or 2 pages with just some general information. What I need is the more in-depth information on caffeine. I’m now in last year of highschool and I have to finish my project this week and I’m really stressed out right now. It would mean a lot to me if you could help me on my caffeine project by sending some usefull websites or articles. Tell your teacher to wait! I’m still formatting and editing chapters for upload. But I’m sorry to hear you’re stressed out. So: I’ll temporarily post the Appendix (just for you!). It has details about how caffeine works chemically and physiologically. It won’t be fancy or have images, but you may find the info useful. One favor in return: Please spread the word about CaffeineAndYou.com through Twitter, Facebook, and other social media sites. Good luck, Ivar – hope you get an “A” (or whatever the best grade is in The Netherlands). Be sure to credit us as a reference source. And thanks for posting your kind words and request! I will spread the word and leave you highlighted in the reference sources.